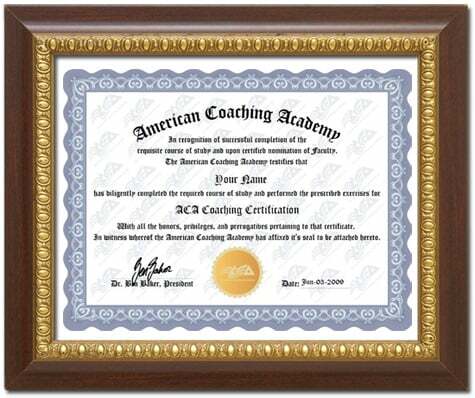 Completing an AMERICAN COACHING ACADEMY program will provide you with the knowledge and skills to gain credibility and feel more confident in your coaching role. 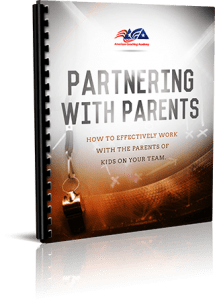 You will discover how to work with parents, create a positive learning environment, keep athletes safe and healthy, and help them excel in sports and skill development. Our signature program, the ACA Online Coaching Certification uses a simple, fun online simulation to walk you through the real-life scenarios faced by every coach, and help you master the vital knowledge and skills to meet any challenge. The curriculum is broken down into eight individual courses, all based on the NASPE National Standards for Sports Coaches, and backed by decades of scientific research and real-world coaching experience. Click below to learn more about the ACA Online Coaching Certification. The ACA Hall Of Champions is the ultimate coaching shortcut for coaches who are serious about personal growth. Learn how to become a more effective leader, and have a positive long-lasting impact on your athletes! Click below to find out how you can get started today. 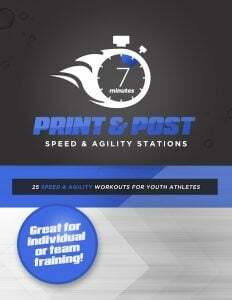 Post & Print Speed & Agility Stations is a time saving, results boosting, busy coaches "best friend"... With this proven resource you can now dramatically improve the speed and agility of your athletes in just 7 minutes per practice! It's "print and go" ready so that you can implement the exercises immediately. Click below to find out how you can get started today. 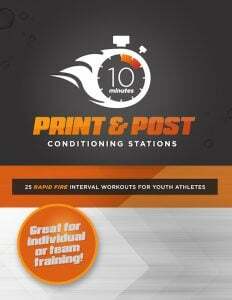 Post & Print Conditioning Stations is a busy coaches dream come true! With this tool you can effortlessly utilize effective conditioning exercises during your practices. It's quick, it's effective, and it's easy to use. Click below to find out how you can get started today. 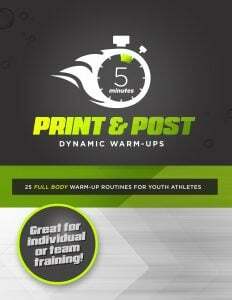 Post & Print Dynamic Warmups is another dream come true for busy coaches! With this tried and tested resource you can now implement effective warm-up exercises during your practices and training sessions. It's efficient, it's done-for-you, and it's ready to use. Click below to find out how you can get started today. 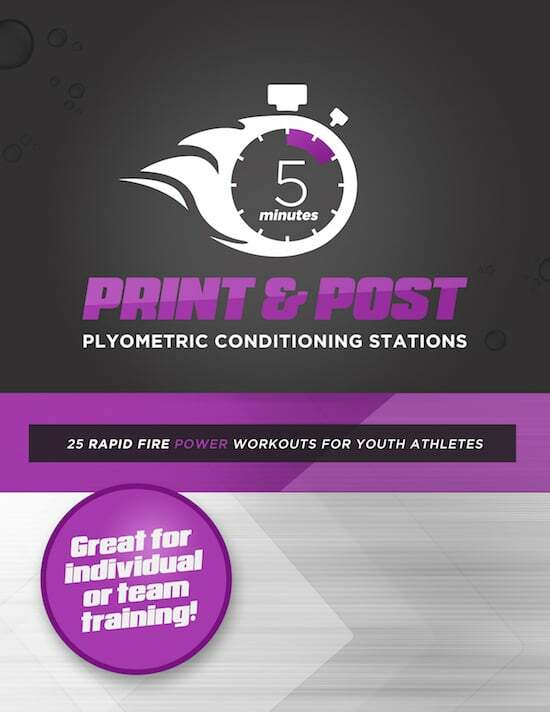 Post & Print Plyometrics training benefits all athletes, across all sports, regardless of age or gender. And the best news: it only takes 5 minutes to add a “plyometric boost” to your practice. Click below to find out how you can get started today. 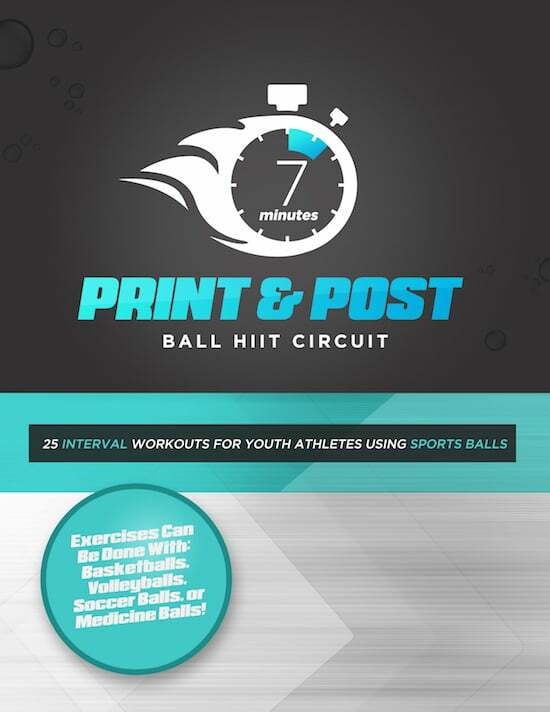 Post & Print Ball HIIT Circuit is the secret to fitting in valuable high-intensity interval training into your practices efficiently. Dramatically improve your athletes' endurance with just 7 minutes of high intensity interval training! Click below to find out how you can get started today. 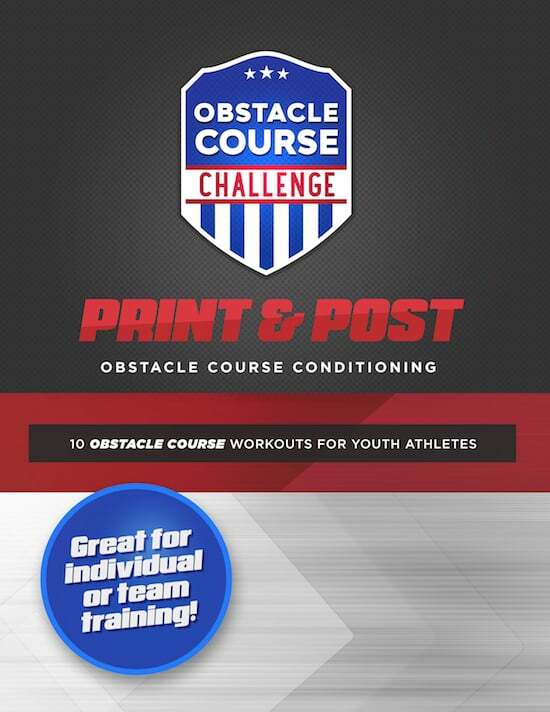 The Post & Print Obstacle Course Challenge is a conditioning gauntlet for youth athletes! But we guarantee your kids will want to do them over and over again. Our obstacle courses incorporate 37 different exercises- so your athletes will NEVER be bored and their bodies will constantly be challenged in new ways. Click below to find out how you can get started today. 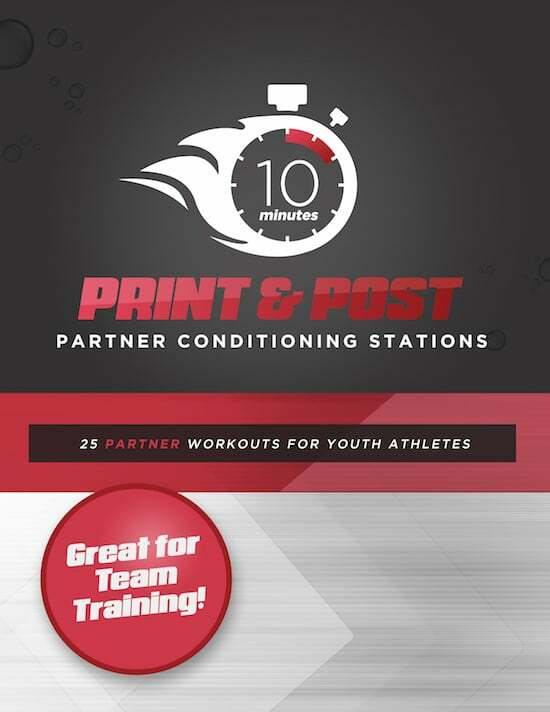 Post & Print Partner Conditioning Stations are 25 of our favorite Partner Workouts that are fun, unique, & effective. Strengthen team bonds and improve athletic performance without printable exercise posters. Click below to find out how you can get started today. 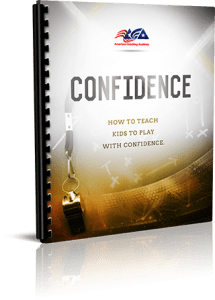 The ACA Confidence Report is one of the best tools you can find on how to inject confidence into all of your athletes, even the most timid and insecure. Confidence is a key to success in sports and in life. Click below to learn more about how you can bring increased confidence to your team. Motivation can be one of the trickiest things to coaching. 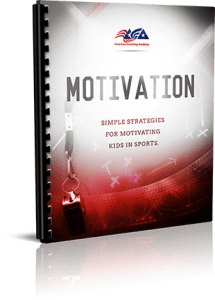 With this Motivation Report you will learn all the strategies and methods proven to help coaches motivate individual athletes or all players on your team. Click below to learn more about whats stuffed inside. The ACA Nutrition Report brings an element and edge that most coaches and players overlook. Eating and drinking the proper things before, during, and after games makes a big difference. Click below to find out what the right foods and right times are to eat to maximize performance. Teamwork and unity are the glue and magic sauce to any championship team. 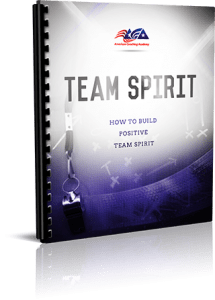 This ACA Team Spirit report reveals how to build and boost team spirit with any team and any athlete. Click below to discover more about top team-building techniques provided in this report. 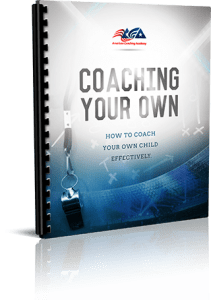 Coach Your Own is a jammed-pack report that combines years of experience for coaches that have their own kids on their team. In it you will learn how to keep your own child motivate while not being accused of giving special treatment to them and much, much more. 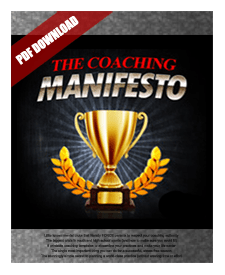 Click below to find out how you can be a more successful coach and parent. Partnering With Parents teaches you how to turn parents into allies which in turn eliminates a lot of stress and headaches. Having parents on "your team" is exactly what you need so you can focus on coaching. Click below to discover how to create a positive team atmosphere with the parents.